If you feel tired or nauseous on your diet, you may need more calories. Although it’s often difficult to stick with a 1,000-calorie weight loss diet long-term, using one is almost always a guarantee you’ll shed unwanted pounds. 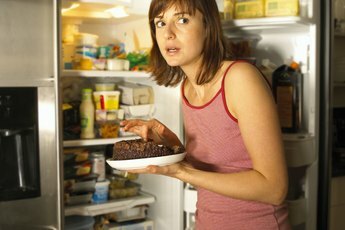 Many women can safely lose weight on 1,000-calorie diets, reports the National Heart, Lung and Blood Institute. However, chat with your doctor first, since this low-calorie diet is not the right fit for every woman. Since 1,000-calorie diets can help you shed pounds, following one can reduce your risk for diseases, such as heart disease and diabetes. The Centers for Disease Control and Prevention report if you’re overweight or obese, losing just 5 percent of your body weight can lower your cholesterol, blood pressure and blood sugar levels. 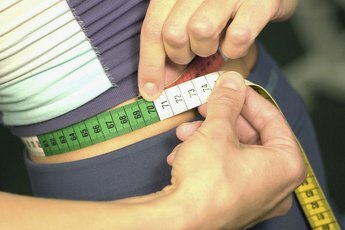 This means if you weigh 160 pounds, losing just 8 pounds is significant. Shopping for smaller-sized clothes is another perk of following a 1,000-calorie weight-loss diet. You may need more than 1,000 calories a day, even during weight loss. The National Heart, Lung and Blood Institute recommends women who weigh more than 164 pounds and regular exercisers need 1,200 to 1,600 calories daily for safe weight loss. Aim to lose about 1 to 2 pounds per week, suggests the Centers for Disease Control and Prevention. If you’re losing more than that eating 1,000 calories, it may be time to slightly boost your calorie intake. If a 1,000-calorie diet is the right fit for you, follow it until you lose 10 percent of your initial body weight, suggests the National Heart, Lung and Blood Institute. For example, if your initial weight was 160 pounds, follow the 1,000-calorie plan until you hit a weight of 144 pounds. Aim to maintain this new weight for at least six months, suggests the National Heart, Lung and Blood Institute, before attempting to drop additional weight with a 1,000-calorie meal plan. This strategy is effective for long-term success. Your weight-maintenance calorie needs are highly individualized, but are higher than 1,000 calories a day. Weigh yourself weekly to make sure you're maintaining your weight loss. Protein makes it easier to stick with a 1,000-calorie meal plan. Protein helps you feel full, which means you’ll consume fewer overall calories, notes a review published in a 2008 edition of the “American Journal of Clinical Nutrition.” Choose from a variety of healthy, protein-rich foods, such as egg whites, grilled chicken, seafood, soy products, seitan, low-fat dairy foods, legumes, seeds and nuts. Is Consuming Under 1,000 Calories a Day Healthy?